Tiny homes are taking over the country due to their minimalist appeal and affordability. Smaller is better for people who own tiny homes. But some things can be more difficult when you live in a tiny home. Things that people who live in normal-sized homes may take for granted. For example, getting water in and out of your house is a bit more complicated. But tiny house plumbing is totally possible! Here's how to get water into your tiny home. If you're deciding on how to get water into your tiny home, you have a few options to consider. Here's a brief description of each choice to help you decide. If you aren't living off-grid and don't plan to in the future, you'll always have access to a public water source. All you'll have to do is hook up your tiny home to the water source and you'll have the water you need! You'll need to set up plumbing in your home so that your house can take in water from these sources via an RV hose. If you want the freedom to live off-the-grid or you don't want to worry about hooking up to water sources, you can opt to get a water tank and pump. If you don't want to feel tied down by having to find public water sources for your tiny home, this is the way to go. But getting a tank and pump has some disadvantages as well. They take up a pretty decent amount of space, which you're already short on in a tiny home. They can also get noisy while in use. You'll have to decide which size of tank you want for your home. Bigger tanks take up more space but can store a lot more water, so you won't have to fill it as often. Consider how often you'll have access to water to determine what size tank to get. If you want to have the option of both a water hookup and a water tank, you can go the hybrid route. You can have your tiny home ready to be hooked up to a public water source, and also have a water tank for the times you want to go off-grid. This option allows you to be the most flexible and ready for any living situation, so it's a great choice, especially for people traveling around a lot. While this choice does require some extra work, it's a great way to stay flexible and feel comfortable with your water situation at all times. 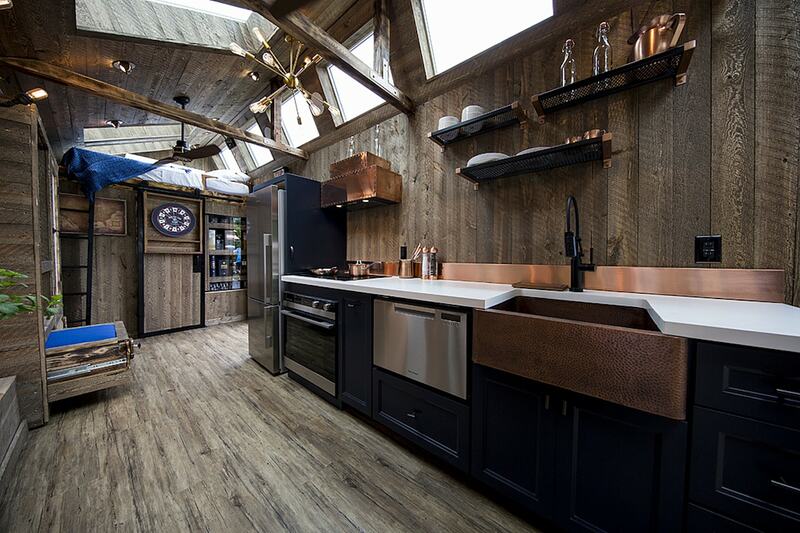 Want More Tiny Home Tips? ‍Getting water into your tiny home doesn't need to be difficult, you just need to decide which option is best for you. For more information on tiny house plumbing or any other tiny home topics, please contact us today!